Communicating with patients and their families is an integral part of the medical profession. 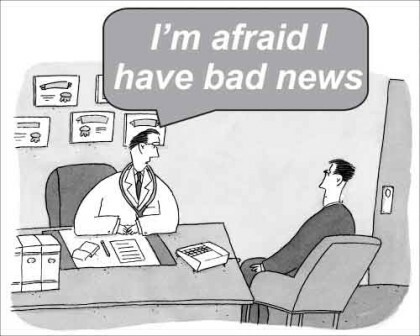 And much as doctors want to avoid it, delivering bad news to the patient is too. 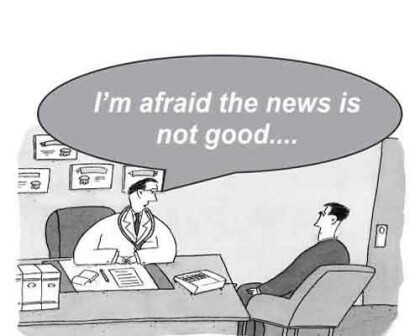 All doctors, no matter what stage of career they are in, whether a young resident doctor, or a Senior most consultant of a department, come across cases where they have to be the one to deliver the bad news. Doctors of specific specialities like cancer, neurology, etc may have to do so more often than others, but its a fact that all doctors have to deliver bad news at different points of time. 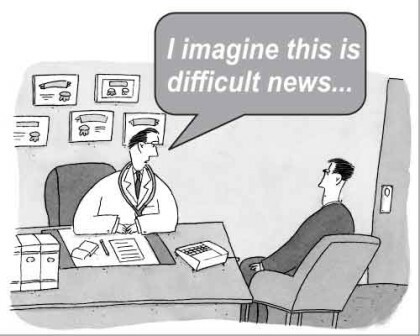 Its important for a doctor to be well prepare the ” THE BRIEFING”. Make sure you have all the clinical facts/information you need. DO NOT TRY TO DELEGATE THE TASK. Rehearse if you want to. Allot proper time for the briefing. Don’t try to be in a hurry. Also Prepare a conducive environment for the communication. Also make sure beforehand, who else apart from the patient ( family, friends, decision makers) need to be present at the briefing. Don’t Deliver news in a public place, such as in the hallway. Step 2: What does the patient know? Step 3: How much does the patient want to know? This step is very important to keep in mind while briefing. Every human being is wired differently. Some are curious where as other want less information to avoid stressing themselves. 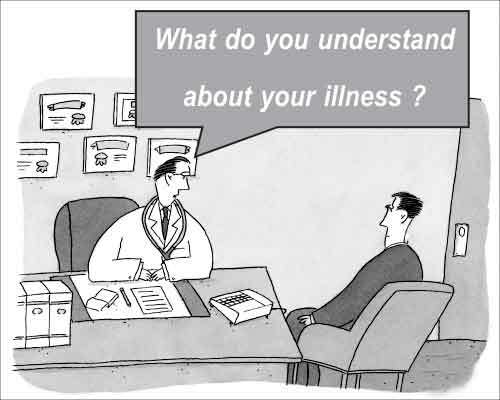 Many a times, a doctor is told by the family members ” NOT TO TELL” the patient to avoid stress and worry. 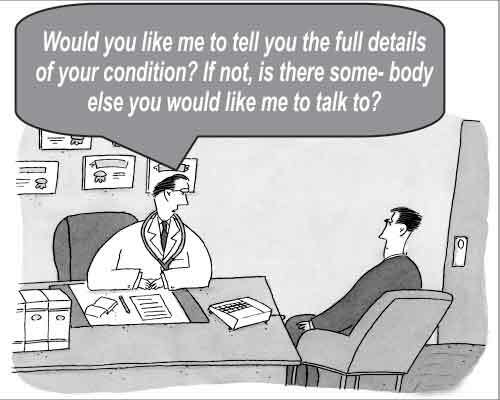 However, this one point can create a lot of doubt in doctor’s mind, as both ethically as well as Medico-legally a doctor is required to disclose all in order to take informed consent. However, there is noting wrong in first ascertaining what is the mindset of the patient first. And then slowly, pursue the matter to communicate the information. Patient’s families many times say ” Please don’t tell this to the patient.” In these circumstances, rather than bluntly replying that ” I have to tell the patient,”ask them why they don’t want you to tell the patient, what it is they are afraid you will say, what their experience has been with bad news. Don’t hurry up and try to deliver the information in one sentence. Deliver the information in small understandable sentences. Pause frequently to make sure that information is easily understood. Use simple language. Don’t try to minimise the severity of the situation but deliver in a sensitive and straightforward manner. AMA points out to an important that mistake that doctors frequently do. That is to say repeatedly I’m Sorry. Again, upon receiving bad information,every patient/ attendant reacts in a different manner with multiplicity of information. Some cry, some fight, some get angry, some go in denial, some take a flight. And the list goes on. The possibilities are many. What is important for a physician at this time is to maintain calm and give the patient and the family time to react. Understand their emotions and remind them that their reactions are normal. Offer them water, tissues, tea, something soothing to make them comfortable. As a final step, its important to reassure the patient that they are not being abandoned. Establish an ongoing plan to help. Indicate how the patient and family can reach the physician to answer additional questions. Establish a time for a follow-up appointment.